We are down to the last few days before the Labor Day weekend signals the end of summer. All schools will be back in full swing next week, and summer Fridays will end for those lucky enough to have them in the work world. For most educators, back-to-school decorations still include the proverbial apple, school bus, writing strips, and black and white composition notebooks. We definitely need a revamp in the bulletin board market to bring it into this century. We’ve yet to see tablets to add to the decor. That said, one of the most useful, iconic, and versatile images in education is the pencil. Looking back, we wanted to round up some of our favorite resources that highlight the pencil as a metaphor for leadership, work, and fun. 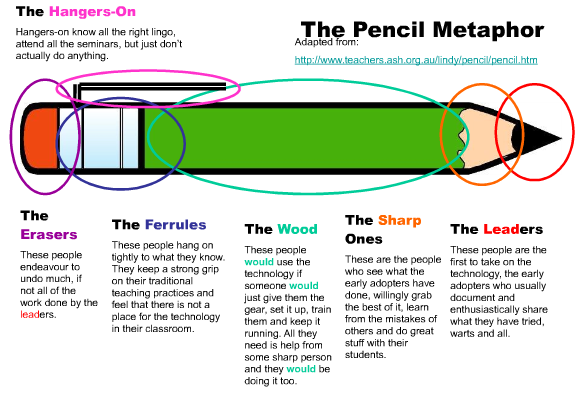 The Pencil Metaphor graphic that has been reproduced in many places is a perfect place to start. It symbolically represents a continuum of where individuals might be on the learning curve of adapting new technology. The closer to the point, the more willing to take chances, lead, and share knowledge with others. I, Pencil: The Movie could not be better suited for the holiday weekend. It’s a symphony of human activity at work to produce one of the most basic tools used to record information, draft ideas, and doodle creations. It represents the interconnectedness of labor in the same way the pencil connects with learning. Lastly, #Pencilchat had to be the one of the best viral chats on Twitter in 2011. It was friendly and a real mix of clever ideas, but at the same time a pointed discussion about technology integration with the coming onslaught of the tablet boom. We cannot help but revisit the hilarious video entitled Ode to #Pencilchat: Technology Integration in the Classroom. Whether metaphor, symbol, or tool, the pencil is flexible, durable and timeless. We wish everyone a great school year. We introduced the concept of teaching first graders about entrepreneurship three years ago and never looked back. This spring, our young entrepreneurs completed their third successful year building the Nifty Note Company. This interdisciplinary project-based learning unit reaches across subjects, including media, design, branding, and economics. When these first graders go into production, printing, designing, and packaging 1000 note cards from start to point of sale, it is mind blowing. We learned this project at a presentation at the National Council for the Social Studies annual conference from the first grade teachers at the Collegiate School in Virginia. We modified and expanded their Critter Creations unit to brand our own company called Nifty Notes. It not only easily connected with language arts, math, and social studies, but it also could be expanded to include other components such as media literacy to broaden the learning concepts. It opened opportunities for the students to show off their creativity as well as make decisions about what designs would be best to maintain quality and consistency. 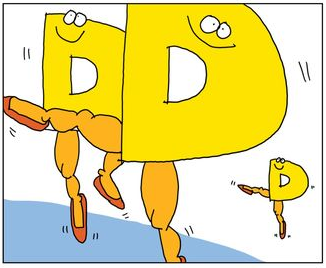 Their inventive nifty characters (above) are something to behold. At the start of the project, each student gets an employee manual with the history, vocabulary, and job descriptions and qualifications for production. We use a host of resources to teach them about wants and needs, supply and demand, quality over quantity, etc. Through stories such as Little Nino’s Pizzeria by Karen Barbour, the students learn about natural, capital, and human resources. These ideas are continually threaded throughout the entire process that believe it, or not, is completed within three-to-four weeks. The multiple layers built into this project in addition to the actual production include doing a market survey, applying for a job in the company, filling out a job application, collecting data, creating the advertising for the school community, running the store, counting money, and issuing receipts. For samples of some of our handouts for this project, click here. Perhaps one of the most valuable takeaways the students learn is charity. 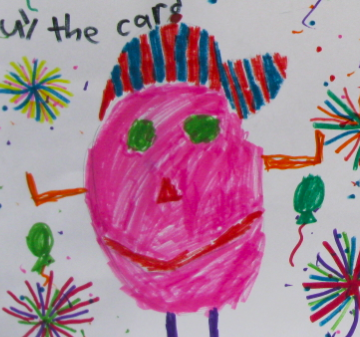 Each year the first graders make a charitable donation with a portion of the profit from the sale of the note cards to an organization of their choice. A go-to book that's perfect for helping young children know the importance of giving is One Hen: How One Small Loan Made A Big Difference by Kate Smith Milway. The One Hen website also provides lots of addition material and ideas for teachers, and the non-profit organization, Kiva, lists opportunities for individuals to lend small amounts of money to help others around the world. 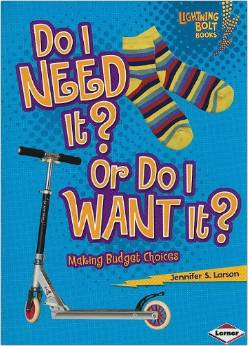 Our library has a strong collection of resources, including books at the primary level, for teaching economics with titles such as Do I Need It or Do I Want It from the Exploring Economics series, and Lemons and Lemonade: A Book About Supply and Demand from the Money Matters series. In addition, there are some excellent children’s picture books that we use to talk about money, opportunity costs, and marketing. Teacher collaboration makes this project work. When first graders manufacture, market, and sell a product to real customers as a class business, the experience is priceless! This summer we’ve seen unprecedented violence and conflict, from our own backyard in Ferguson, Missouri, to the Ukrainian-Russian border. We’re sure that our learners have seen it, too. Wherever the conflict is, you can rest assured the media is there in full force as well. The sound bites, prompts, replays, jolts per minute never end. The hyped negativity abounds with each new event. The good news is relegated to filler material that is never enough to make anyone feel good for long. No wonder parents are reluctant to let their children watch the news. In some ways our media is like the Capitol of Panem in The Hunger Games spicing up the story to keep the masses engaged. 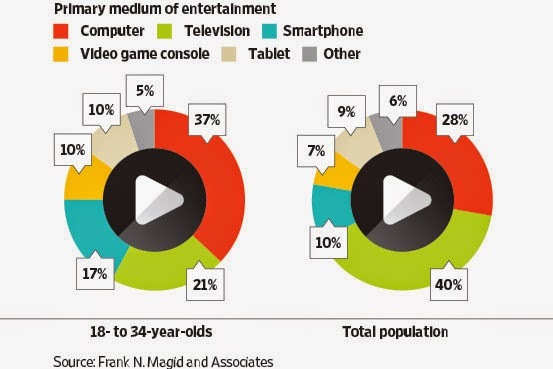 In the competition for viewership, ratings matter. So what is Peace Journalism? The principal founder of the concept is Johan Galtung. He claims that our common daily news should be classified as War Journalism, because it tends to present conflicts as endless battles, or war. 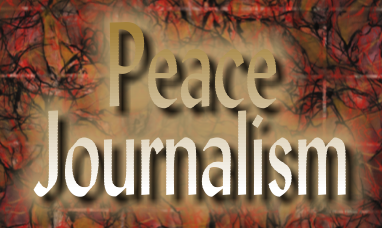 According to the Center for Global Peace Journalism, the practice of “Peace Journalism is when editors and reporters make choices that improve the prospects for peace.” These journalists carefully choose their words to create an atmosphere favorable to peace in order to make non-violent solutions more visible and viable. Now more than ever we need to include discussions about war and peace journalism as part of media literacy instruction in our classrooms. It's important to help learners sift through messages from the media to find ways to change the view from a culture where aggression sells to one that diffuses turmoil by finding commonalities in humanity. By guiding students to seek solutions to conflicts, they become better peacemakers and peacekeepers. If we can flip classrooms, let’s get kids to flip the news to look for positive ways to present current events. The following video was created by Oded LevRan as a project in visual communication studies at Holon Institute of Technology. It’s called Chickpeace. It presents the main principles of Peace Journalism using hummus as an analogy to reality that this is a staple dish for both Israelis and Palestinians. chickpeace from Oded LevRan on Vimeo. Depending on grade level, students could take a topic, event, or place and present it as a way to build common ground. 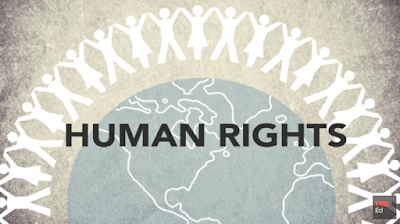 Aiding students in this type of endeavor teaches them the art of framing a topic around a positive approach to the world around them. Using reframing techniques, they can take an existing report and come up with a way to down play the hostility to foster a greater understanding. 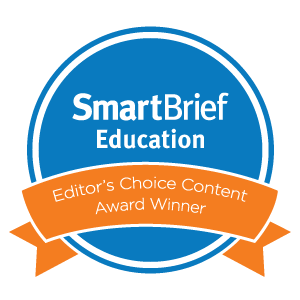 As always, teaching students to deconstruct messages, call out biases, or highlight sensationalized reporting builds stronger media and news literacy skills. Most kids (and teachers) hate summer reading. They view it as a chore, an unnecessary evil, a relic of schoolhouse drudgery. Even students who love to read groan at prescriptive lists of books that will receive little attention once the academic year begins. Even when offered a choice of titles, students drag their heels in completing linear book reviews or reader-response journals. This is because in their active lives, kids are multitasking on social media while setting up Minecraft servers. They don't understand why summer work should force them to take a step back in time and technology. In order to spice up their summer literary lives, why not let students savor some easy tech ingredients, to make reading a zestier part of their wired worlds? 1. Animated book trailers - Instead of a book report, invite students to create animated book trailers to advertise their favorite titles to friends. Adobe Voice and Vine are perfect options for free, fast, embeddable movie-making. 2. Remote book clubs - Children regularly see their parents laughing in living room book clubs. Kids can form their own real-time remote clubs via Skype or FaceTime, to network and debate with classmates even while on vacation. 3. Journal blogs - Rather than relying on paper and pen, kids can publish their thoughts via personal blogs and then comment on peers' posts. 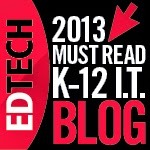 Kidblog is a safe and self-contained option, with teacher-controlled classes to monitor conversations. 4. Character infographics - Visual thinkers and graphic artists will love making infographics of themes and events. Easel.ly and Piktochart are flexible platforms to unleash creative potential in ranking events and rating characters. 5. Chapter podcasts - Many learners prefer audio books, so why not encourage students to record their own podcasts? Audioboo, for example, will let kids embed recordings of chapters or reviews, to disseminate to classmates underneath their Beats headphones. 6. Twitter chats - Teachers can set up unique hashtags around specific questions, to unite students in online chats. Twitter will then serve as a permanent archive of notes and quotations, to tap for further discussion once the school year begins. 7. Virtual pinboards - Symbolism and visual metaphor can be difficult to teach. 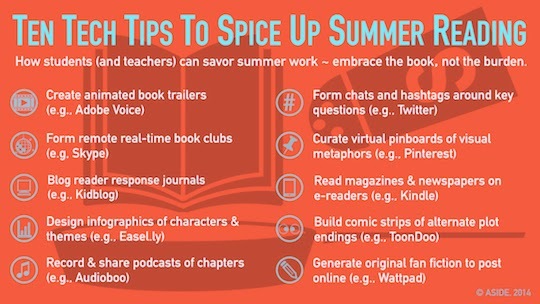 Virtual pinboards such as Pinterest offer fun ways for students to curate and share pictures that connect to specific plot points or motifs. 8. E-reader magazines - Any type of reading counts as reading, so instead of limiting kids' choices to a few books, schools can open up the options to magazines, newspapers, and graphic novels. E-readers like Kindles and Nooks provide portability and bookmarks for easy access. 9. Plot comics - Boiling down a book's plot to a few cartoon panels is harder than in sounds. Web tools like ToonDoo present a range of settings and personalities to capture key events, or even invent alternate endings to a novel's action. 10. Original fan fiction - The best follow-up to reading is writing, and many students love penning their own fan fiction to continue the interplay of favorite characters. Wattpad is a popular publishing site for young wordsmiths. If you have any other suggestions to enhance summer's literary recipe, please share them. We'd love to hear more engaging tech ideas! In light of the world events, sometimes it is difficult for our students to comprehend just how deep-rooted in history conflicts reach. Many of them don’t have the background in history to understand the dispute over the control of Jerusalem or the origins of the caliphate in Islamic history. Even fewer realize that the region of the Middle East has been wrought with turmoil over land ownership dating back to the days of Mesopotamia. Jerusalem Explained, produced by Ph.D. Comics, is one of the best videos that we’ve come across to illustrate the 3000-year-old history of The Temple Mount as one of the most important religious sites in the world. It describes the constant battle to dominate it. We’ve used this in the classroom with our students, and its clear, uncluttered narration of historical facts lays out this extraordinary fight for power of this piece of land in the name of religion. The most recent conflict involving the militant group ISIS (Islamic State in Iraq and Syria) began with the civil war in Syria and has now spilled over into Iraq, with the fear that it might incite further instability in other areas of the Middle East. One resource that is helpful here is the motion graphic entitled Iraq Explained: ISIS, Syria, and War, which provides an overview of the history of the conflict. It is a bit simplistic, for which it apologizes, but it's a good resource to use with upper elementary and middle school students. Pair this with the video from The Wall Street Journal called Iraq: ISIS Sparks A Middle East Crisis, Explained to hear a different approach about the topic. Using multiple sources helps students see different points of view in delivering information. Students can look for similarities and discrepancies or take note of what types of facts were omitted. Various resources can clarify or call into question the accuracy of content, reinforcing news literacy and the role of journalism in reporting events. Much has been documented regarding ISIS belonging to the Sunni sect of Islam with a mission to reestablish the Islamic caliphate of the medieval era. Both Sunnis and Shiites (Shia) belong to the Islamic faith. The struggle between these two groups occurred after the death of Muhammad in the sixth century in a dispute over who should be his successor. It’s about power, not religion. The difference is that Shiites believe the leader of the religion should be in the bloodline of Muhammad. A good resource to help clarify the difference between these two groups is What's the Difference Between Sunni and Shia Muslims? Unfortunately, the media's use of the word "medieval" implies a return to the Dark Ages of violence and fear that characterized most of Christian Europe in the Middle Ages rather than the Islamic Empire. It is taken out of context. Ironically, the Islamic Empire of the medieval world was extremely advanced in trade, science, and medicine, and it was dedicated to the preservation of knowledge, with Golden Ages under both the Umayyads and the Abbasids in Spain and Iraq. Women and children had rights, and science was separate from religion, unlike the Christians in Europe who imprisoned Copernicus and Galileo for going against church doctrine. The Muslims showed tolerance to Christians and Jews, because they were considered “people of the book,” meaning the Bible. This in not what ISIS wants. The context for content makes a difference, and we want our learners to know that. 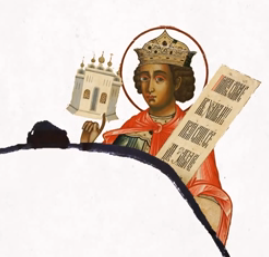 The deep-rooted conflicts of today are about gaining power, using religion for justification. We need learners to see the difference. In the past 20 years, the study of civics has taken a backseat to the more elementary "social studies" and the more secondary "government." Civics, however, embodies a richer appreciation of the structures and services of American political life. In other words, civics is the marriage of a democracy's fundamental frameworks with its citizens' essential responsibilities in a free society. The teaching of civics is often centered in the careful examination of primary documents. Today's learners, however, increasingly thrive in a visual world, where all of their educational inputs arrive via media and technology. The traditional pictures of civics, though, rely on linear flowcharts of the three branches or static portraits of the vice presidents. To update civics education for contemporary learners, we try to blend media literacy with election politics, to communicate the power of logos, advertisements, and videos in marketing national candidates. The nuanced ability to decode shades of meaning in fonts and posters lies in the key literacy of graphicacy. It also reinforces the practice of pedagoptics, which is a method of teaching with visual tools. Click here to check out some lesson ideas for using election logos in the classroom. 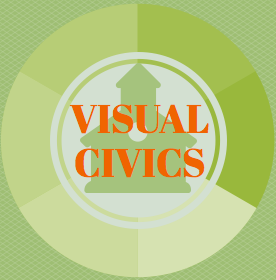 The upcoming 2014 midterm elections in November feature prime opportunities to bring visual civics into the classroom. A perfect case study is the current dead heat between Mitch McConnell and Alison Lundergan Grimes in the Kentucky Senate race. This closely watched, richly funded contest features all of the binary contrasts that make politics riveting: old vs. young, male vs. female, insider vs. outsider, leader vs. rookie. Incumbent Republican Senate Minority Leader Mitch McConnell is an institution in Kentucky, which explains why he has almost universal name recognition in the state but also dangerously low approval ratings thanks to Congress' massive unpopularity. McConnell's campaign logo is designed to present a casual, even youthful image in order to combat the perceived myopia of the 72-year-old's three decades in the Senate. The slogan of "Team Mitch" invokes an informal club, a chummy loyalty among like-minded voters. McConnell also falls back on the time-honored gambit of using only one's first name, like the historic "I Like Ike" and the more recent "Rudy," "Hillary," and "Newt." On a design level, the exacto sans serif font is a little clumsy. The two-tone blue also makes little sense, especially in the word "team" that stretches in an Obama blue. The icon, however, is excellent, rendering the image of the state in a paintbrush swipe of the American flag. At a quick glance, the kilter of the emblem almost appears to be the head of horse. This subtle kinetic signal to Kentucky's thoroughbred heritage is clever and effective. It bodes well for McConnell's no-stone-unturned chances in November. Kentucky Democratic Secretary Of State Alison Lundergan Grimes faces exactly the opposite mission in crafting her logo. At 35 years old, she is little known on the national stage, and she must represent strong local bona fides to match McConnell's renown. Her insignia is much more composed than McConnell's, with layers of text, color, and image to offer a range of connotations. The bold white "Alison" aspires to first-name recognition, yet she registers her full name underneath in an overt reference to her famous political father, Jerry Lundergan. Most distinctly, Grimes features both the office of "U.S. Senate" and her campaign website prominently, reinforcing her need for name recognition and multi-source marketing. Her seal etches a Columbia blue silhouette of the state against a Yale blue background (although Grimes also uses an identical banner with inverted blue-on-white coloring). Her landscape of spring and asparagus hues reminds us of Terry McAuliffe's winning crossover in last year's Virginia governor race. In fact, the blue and green pairing would be peculiar if not for its understated allusion to the "bluegrass" birthright of Kentucky's nickname. Clearly, both campaigns are playing for keeps, leaving nothing up to chance in their winning, contrasting designs. It’s that time of the year again when we see the signs of back to school wherever we go. 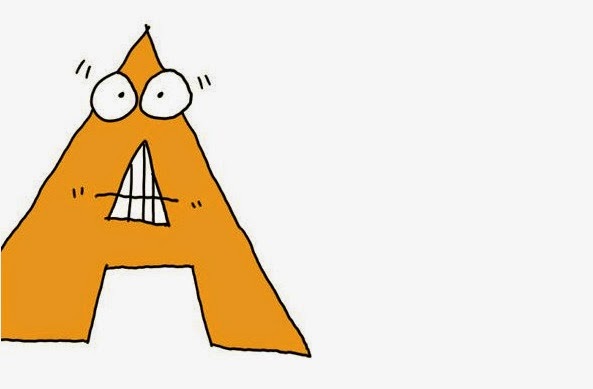 The usual symbols of yellow buses, apples, and ABC's seem to saturate the retail market, as if apples were grown across the country and we all need to learn the alphabet. 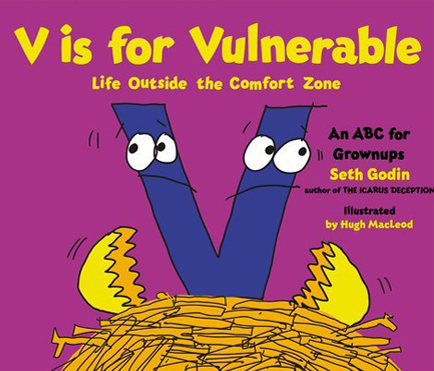 As it turns out, Seth Godin’s picture book, V is for Vulnerable: Life Outside the Comfort Zone, is an ABC book for grownups. Hugh MacLeod illustrates each letter, and Godin’s word choice for each one will ring loud and clear for educators. We could not help thinking of ways to incorporate this resource into our parent conferences, or ways to motivate our students to understand the difference between effort and impact, taking initiative, or working safe. One of our favorites is Quality. It’s not about reliably meeting specifications, it needs to matter. “Quality of a performance is a given, it’s not the point.” It reminds us of the students who think it’s good enough. There are plenty of others including More is not better, Heroes take risks for the right reasons, and Feedback can be either a crutch or a weapon. So many of our students won’t “Dance with fear,” because they're afraid of not being the best, scoring the highest on a test, or getting a B+. Godin’s definition for anxiety strikes at the heart of what adults project when a child doesn’t hit the high note. We recommend taking a look at the post by Maria Popova on her blog, Brain Pickings, to read the highlights of Godin’s interview about the book with Debbie Millman, host of the show Design Matters. In it, he talks about why he wrote this book for adults as a picture book. Perhaps this is why this book strikes such a chord. Adults identify with that feeling. Make no mistake, the design is purposeful; the message succinct. Let kids dance, and let them do it without a tether and a helmet. We continually look for resources to use for “mini” lessons or “do nows” to help learners interpret data and draw conclusions through visual analysis. 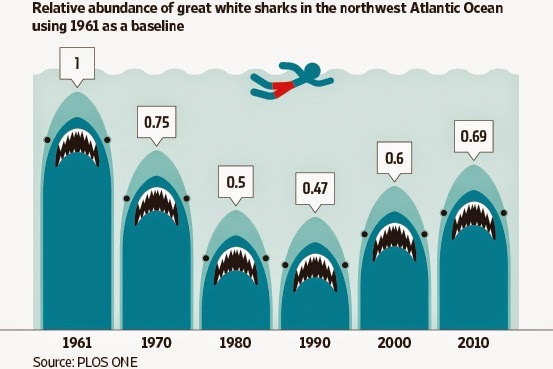 The Statshot column in the weekend edition of The Wall Street Journal provides just that. 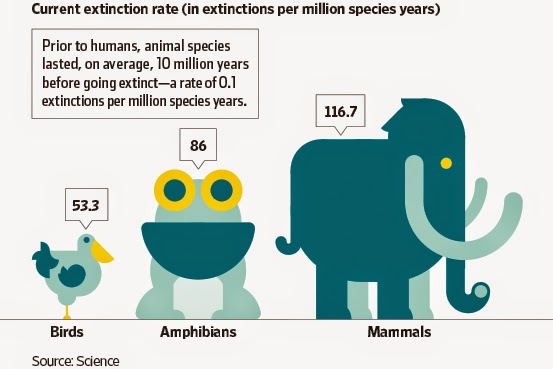 David Goldenberg compiles the data, and the graphics are designed by Carl de Torres. The topics run the gamut, including pop culture, finance, technology, and science. 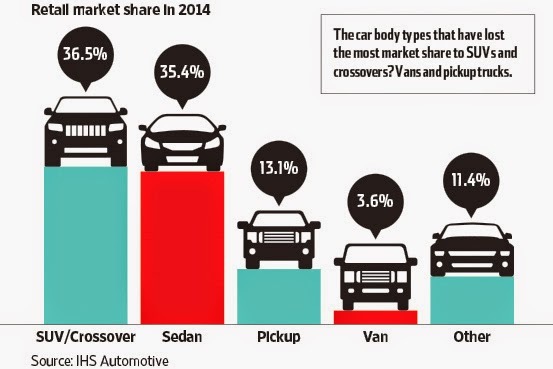 Each week, Statshot picks three different subjects and creates a simple graphic to highlight the data in one image. For example, last weekend looked at screentime, self-image, and Nascar. 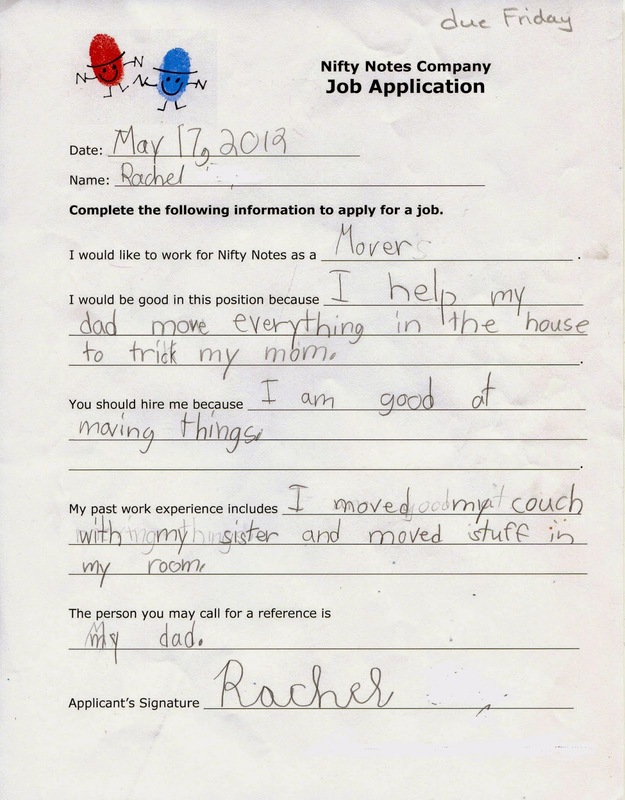 The examples from this column are straightforward enough to use with a variety of age groups, particularly elementary and middle school students. Statshot is part of The Wall Street Journal’s Numbers blog which provides daily posts with graphic interpretations that are more complex and perfect for high school students. The Numbers blog “examines the way numbers are used and abused,” and the topics are equally as diverse as those on Statshot. Integrating graphic interpretation wherever we can using charts, graphs, and tables helps our students with multi-source reasoning. The pervasive use of infographics, motion graphics, and other data visualization materials requires exposing our learners to as many different modes for deciphering information. 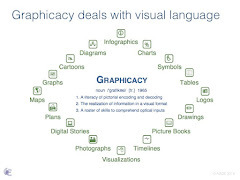 It is one of the core skills of graphicacy that they’ll need to be competent in today’s world. Every year our fourth graders complete a state project. 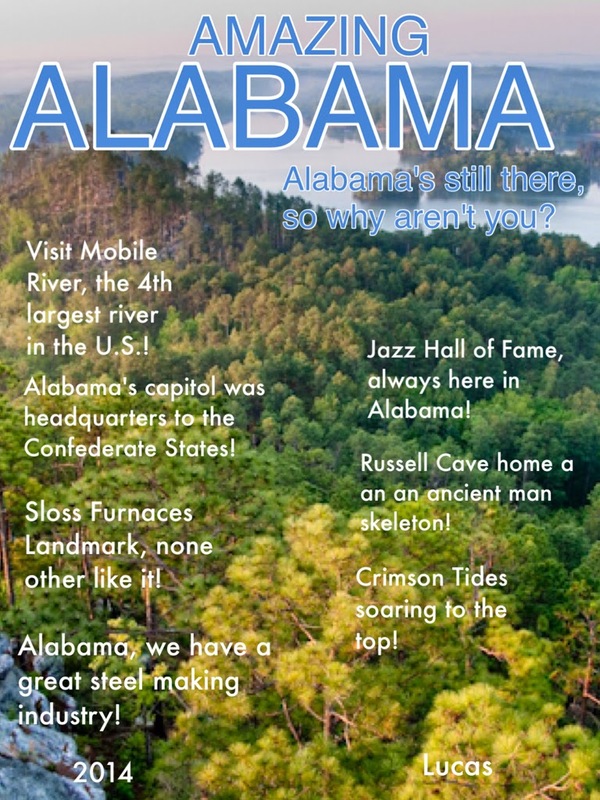 Instead of doing the usual travel brochure or poster with their research, we decided to have them pitch their states by designing a travel magazine cover. It sounds simple, but it actually incorporated the skills of media literacy and graphicacy. On the one hand, it required them to think about the message, and on the other, to visually construct the design to sell it. 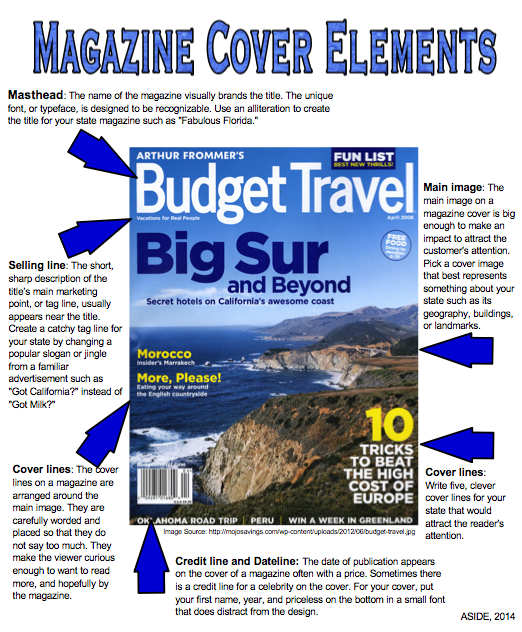 This involved understanding the vocabulary publishers use to lay out the cover content of magazines as well as the techniques used to engage the eye in persuading people to purchase one magazine over another. It reinforced their ability to hone their visual literacy skills to visually think about how to design their own work. At the basic level, students know that companies advertise to sell products, but the competition is fierce. The design of information matters. To help them grasp this idea, we posed the question, “If you walked into any waiting room, what would it take to have someone pick up your magazine over any of the others on the table?” The cover sells magazines, just like it sells books. 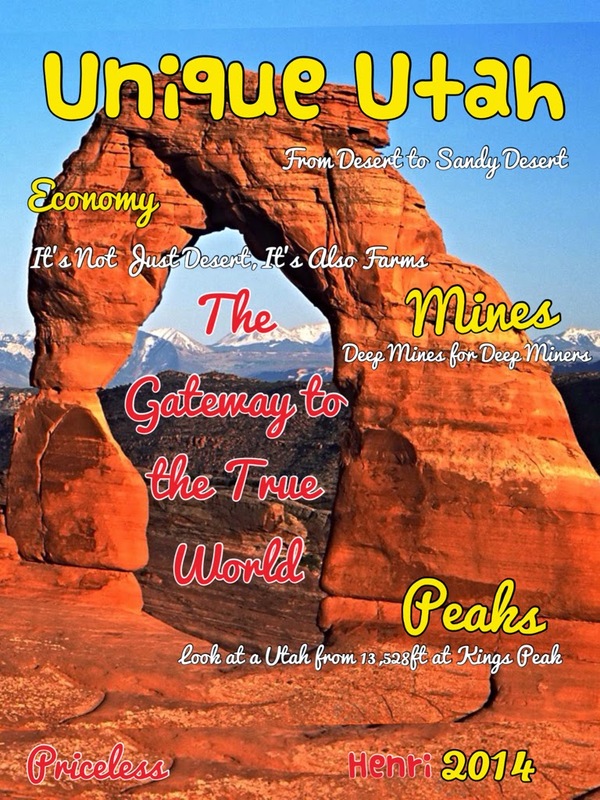 We showed our students a host of different examples of travel magazines to discuss design, layout, text, and images. They analyzed the text to separate titles, subtitles, tag lines, and cover lines. Given that many of our learners love to get carried away with fonts and colors, we talked a lot about selectivity. 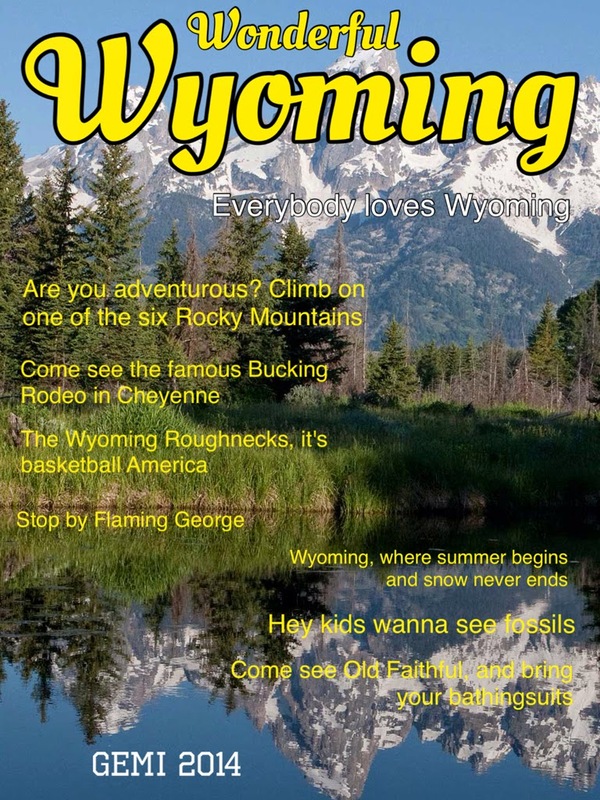 The students quickly realized that most covers used two or three font styles, and that color was limited and worked with the image. The most important typeface was reserved for the title, and the color complemented the design. The project strengthened their understanding that media messages are constructed and that design decisions such as font hierarchy, word placement, and color all play a role in the visual branding of a product. Each part is a media carefully orchestrated to maximize that idea into sales. 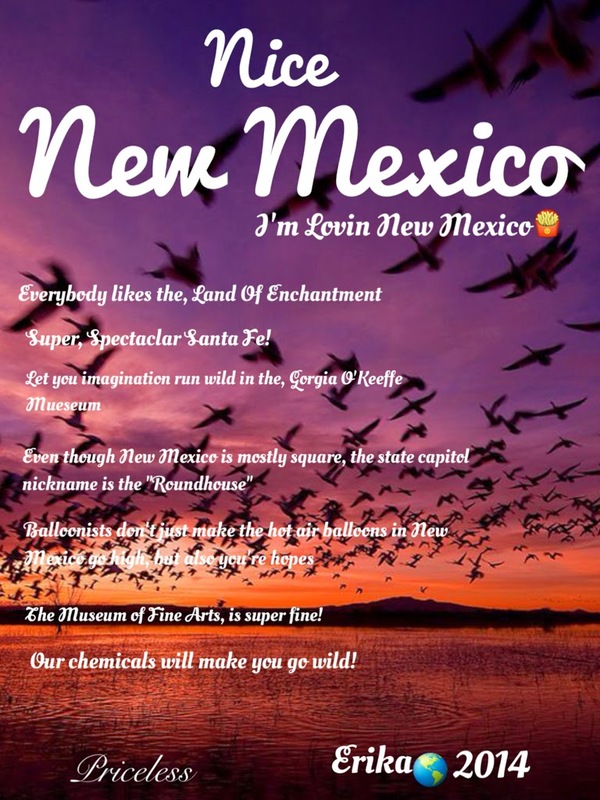 We provided a handout for the students to talk about the cover elements of a magazine, and the students used PicCollage on their iPads to design the images in this post. 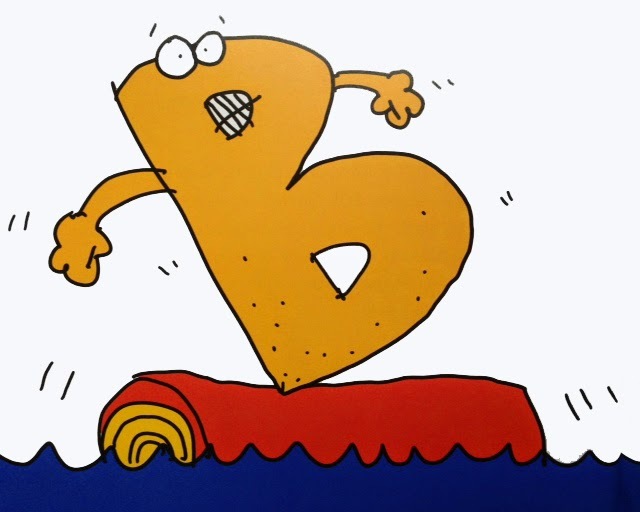 They used alliteration to create their titles, and they invented catchy, selling tag lines based on a current advertising slogans or jingles to be placed just below them. One of our examples was, “What’s in your state?” Of course, the kids happily chimed in that it came from the Capital One credit card commercials. This lead to a flood of ideas, including “Idaho Is On Your Side” (Nationwide Insurance), “I’m Lovin’ New Mexico (McDonalds), “Like A Good Neighbor Maryland’s There” (State Farm Insurance), and “America Runs On Peaches” (Dunkin Donuts). The kids had a great time with this project. They became selective about how to display the content and realized that less is more. Their careful wording to create the cover lines also reinforced their knowledge about the topic. 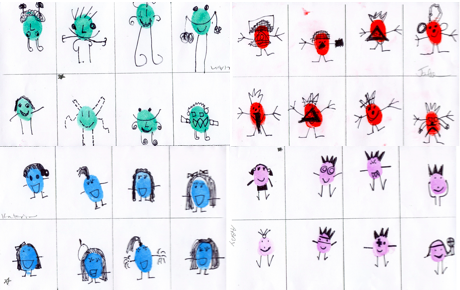 Ideally, anytime we infuse our lessons to include the techniques used by advertisers, we not only build the media savvy of our kids, but we also enhance their visual thinking to graphically decode information and successfully design their own.